it is a symbol of Ghent's autonomy and independence. Construction began in 1313 year. The belfry was to perform various functions. Since 1402 year, documents in which the city privileges have been registered (privileges granted Ghent in 1180) have been stored here in a secret room. Placed on the top of the tower, the dragon was to symbolically keep an eye on the city, but above all to protect its privileges. The belfry also served as the observation tower. Until the 1442 year this role was played by the tower of the church of St. Nicholas. 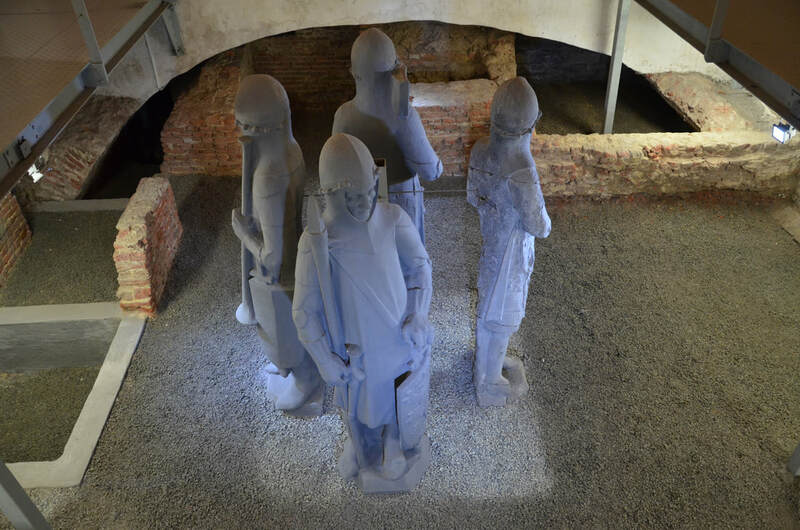 In 1442, the guard moved to the belfry. Until the 1869 year he was in charge of the city's security. Together with the bugler and the bell-ringer they created the men of Gent. They warned residents about various dangers. Above all, in front of fire, which in those days was a great threat. The belfry was also used for religious purposes. 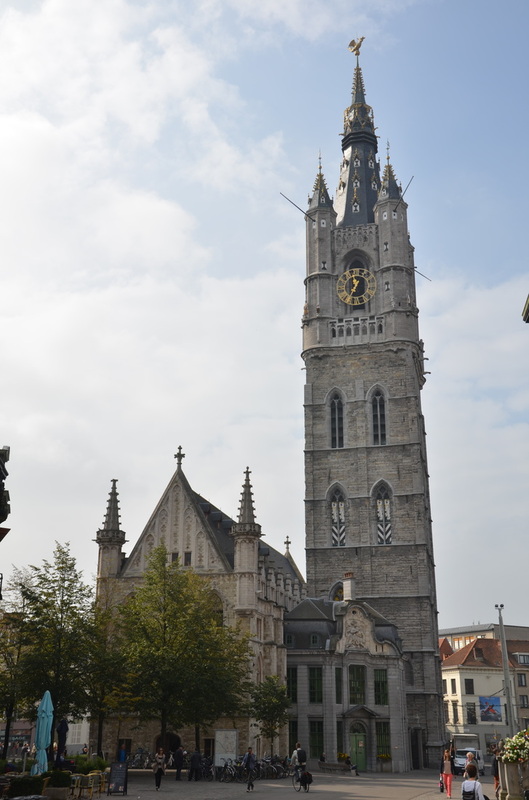 Initially, her bells served only for religious purposes, and over time began to regulate the daily lives of residents in the developing Ghent. 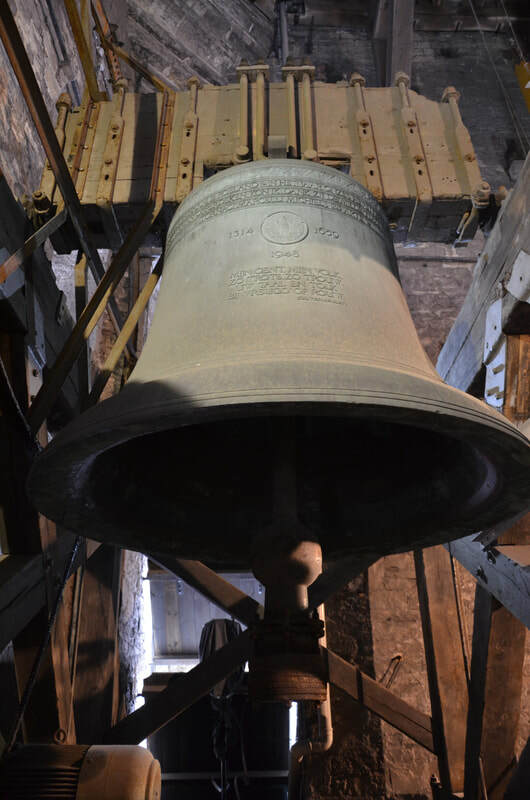 The Roland alarm bell installed on the belfry in the 1325 year, from the year 1378 began to strike full hours. 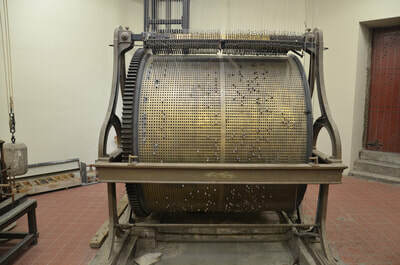 The strike of the full hour was preceded by a signal issued by three small bells. These were the germs of the carillon. 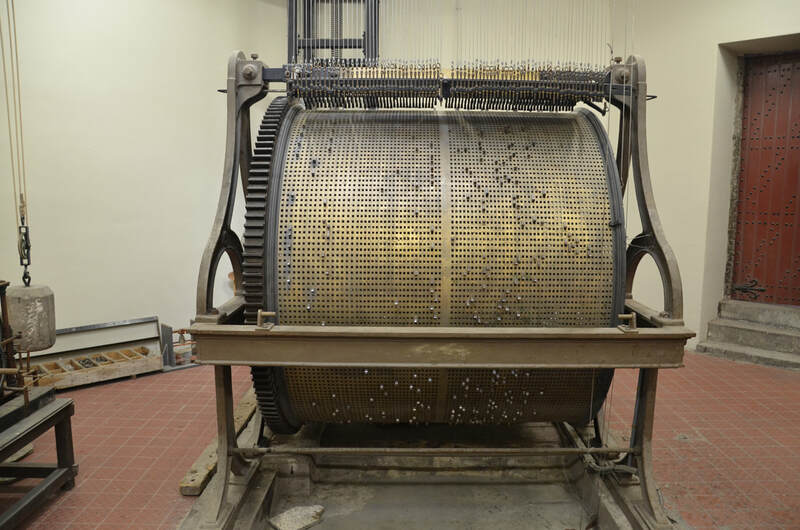 The first carillon was built in the 17th century by Pieter and Francois Hemony. It weighed on 30 tons. After the restaurant in 1982 year, the carillon grew to 53 bells. In the year 1993, another bell was added, named Robert. 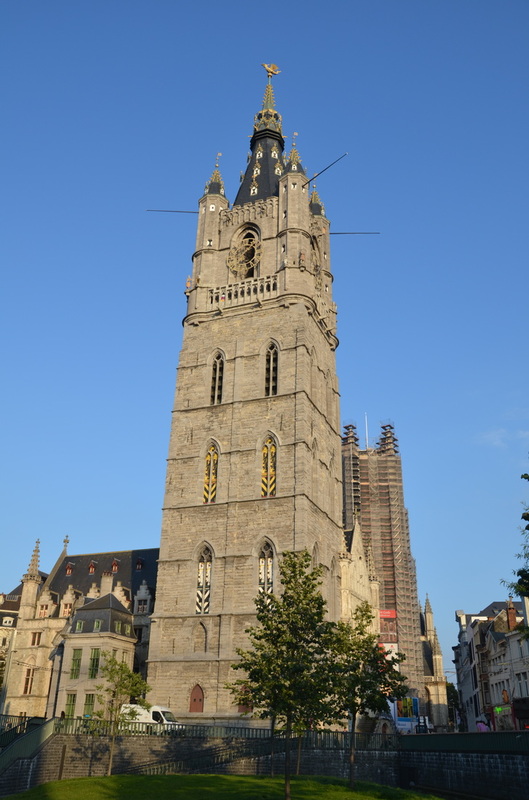 On 4 December 1999, the belfry in Ghent was entered, along with the 23 belfries in Flanders and 6 in Wallonia, on the UNESCO World Heritage List. The belfry is 91 meters high. Level O: Museum, where there are m.in. 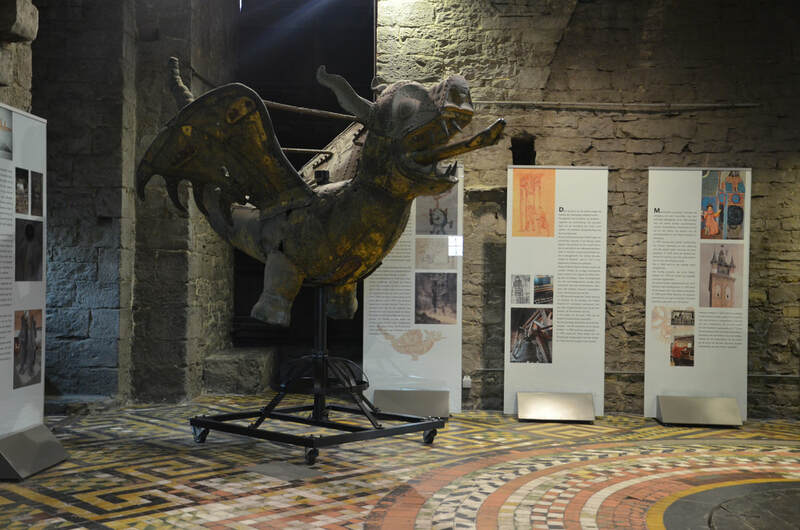 models of the dragon, knights, and models showing how the belfry has changed over the centuries. Level II: Roland Bell. Dimensions of the bell: 2,15 m in height, 2 m in diameter, 6,2 tons of weight. Level I: Museum of bells. 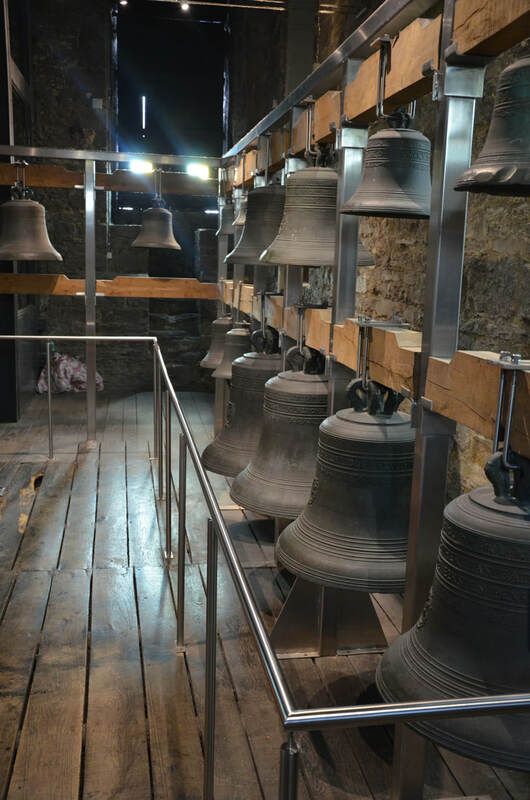 Exhibition of bells that once were part of the carillon. A short movie about how to make bells. Level III: Carillon drum. 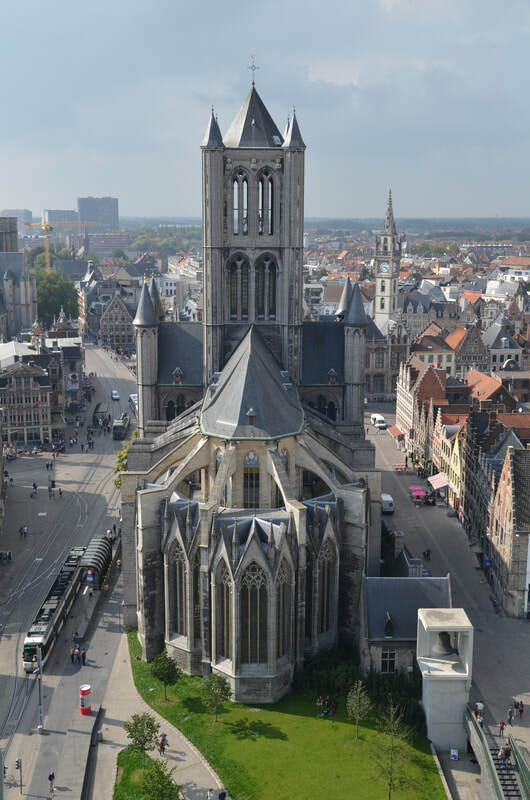 Beautiful panorama of Gent. Sint-Baafsplein (cloth hall) is a building adjacent to the belfry, which began to be erected at the beginning of the 15th century. Due to the collapse of fabric trade, construction was discontinued. The northern facade was created only in the 1903 year. The building was built in the style of Brabant Gothic. In the crypt of the cloth hall (in fact it is located on the level of the former street) today there is a tourist information office. The first floor leads us to the entrance to the belfry. The last floor, from 1613 year, is home to the guild of St. Michael and school of fencing. There is also a museum here. Attica is used as a training room for a fencing school. On the corner of the cloth hall is the house of the former prison guard (Mammelokker). It was built in the 1741 year, in the Rococo style. It served as a prison guard lodge, which was connected to the city prison. It was located in the crypt from 1742 to 1902 year. Today, the Office of the Ombudsman is located here. The façade of the building, which used to be a city prison, is decorated with a sculpture depicting the legend of Cimon, sentenced to starvation. However, he was saved by his daughter, who allowed him to drink milk from his breast every day.